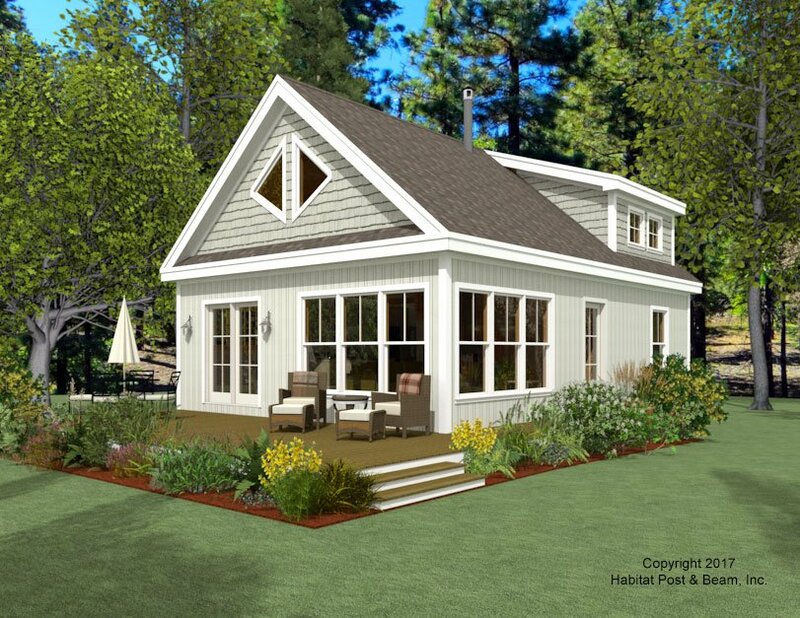 The latest custom home plan is a cottage with views of Great Bay in eastern New Hampshire. 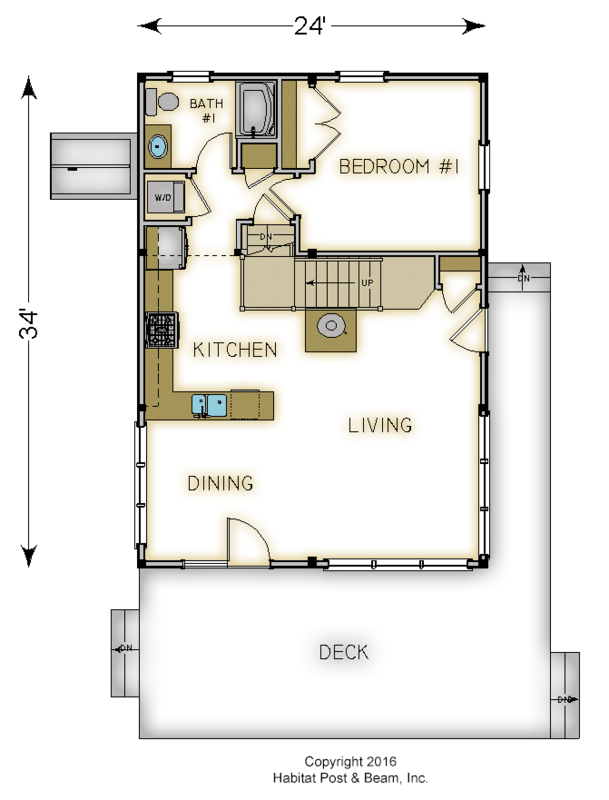 At just under 1000 sq. 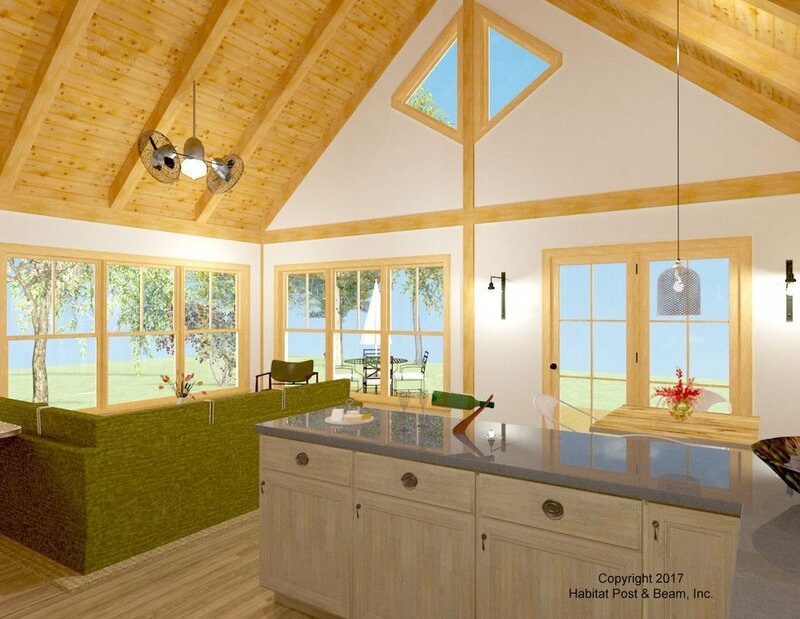 ft, the main level has our standard Beamed Wall System (http\://www.postandbeam.com/wall-framing-system) and a Beamed Cathedral Ceiling above the kitchen, living, and dining area (http\://www.postandbeam.com/roof-framing-system). Toward the rear of the house in back of the stairway is the master bedroom suite under a Beamed Mid-Floor System (http\://www.postandbeam.com/floor-framing-system). 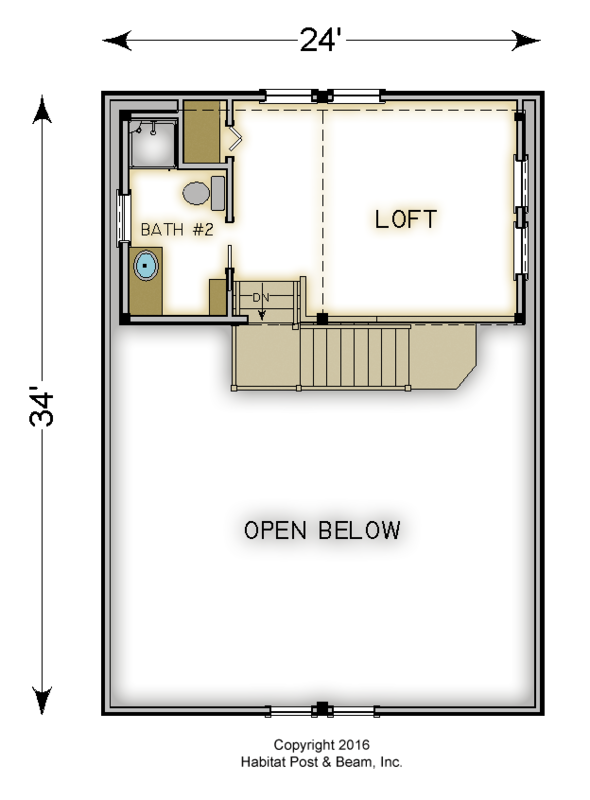 Upstairs is an open loft of about 250 sq. ft. (which could be converted into an additional bedroom) and a ¾-bath under a Beamed Cathedral Ceiling. 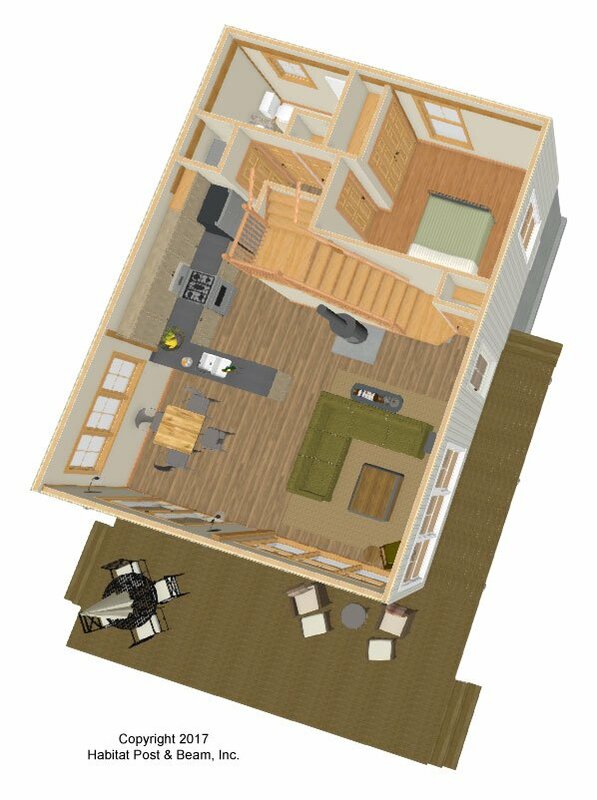 The full basement is currently designed for utilities and storage. Note: the first renderings posted here represent the initial concept for the project; they may not match any subsequent posts of construction photos or photos of the finished structure. Package Price: $102,000 as specified below (from $85,000 to $109,000 depending on framing options). The standard price includes our Beamed Wall System, Plaster and Beam or Beamed Mid-Floor System (same package price) and our Beamed Roof System.